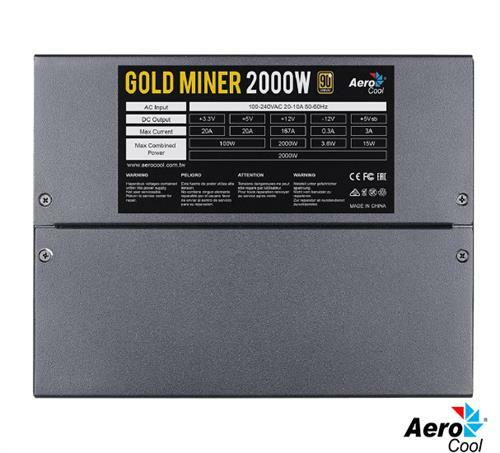 Aerocool Gold Miner 2000w PSU, Retail Box , 6 Month Limited warranty. Your hashing runs 24 hours a day 7 days a week. 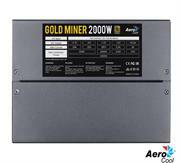 Gold Miner 2000W is designed to provide you up to 90% efficiency for your cryptocurrency mining. With Gold Miner you get more watts for your buck. Gold Miner 2000W comes with double 140mm fan configuration,intake, and exhaustion. This fan configuration induces a straight-in, straight-out constant airflow that keeps the unit at the ideal temperature. To keep the unit cool, the Gold Miner 2000W fans constantly run at their maximum speed of 2400 RPM. The fans are designed with 2-ball bearings to ensure high durability under this heavy usage. Standard power supply units come with AWG#18* cables, according to Intel’s Power Supply Design Guide. Mining usage scenarios might cause this type of cables to overheat burning the sheath and damaging the unit. AWG is the standardized gauge system used in the US. The smaller the AWG number the larger the sectional area of the wire. 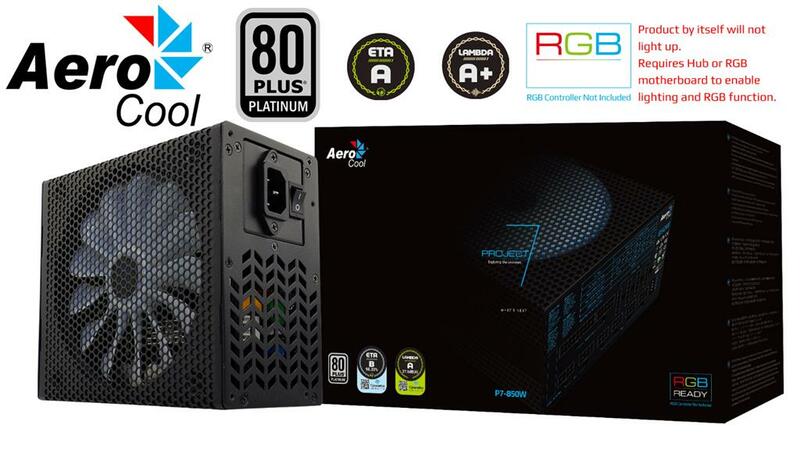 Aerocool P7-850w 80+ Platinum Certified PSU, Retail Box , 12 Month Limited warranty. PSU, which adds some RGB flare to what is often one of the most boring components in a PC. 850W is enough to power some serious hardware. Unless you are planning an overclocked build around Intel X299 or AMD X399 with multiple top-end graphics cards, it should have you covered. The P7-850W Platinum is, as the name suggests, rated at 80 Plus Platinum efficiency, second only to Titanium. Like the majority of PSUs these days, it utilises a single 12V rail design that can deliver practically the full 850W capacity thanks to a 70A rating. 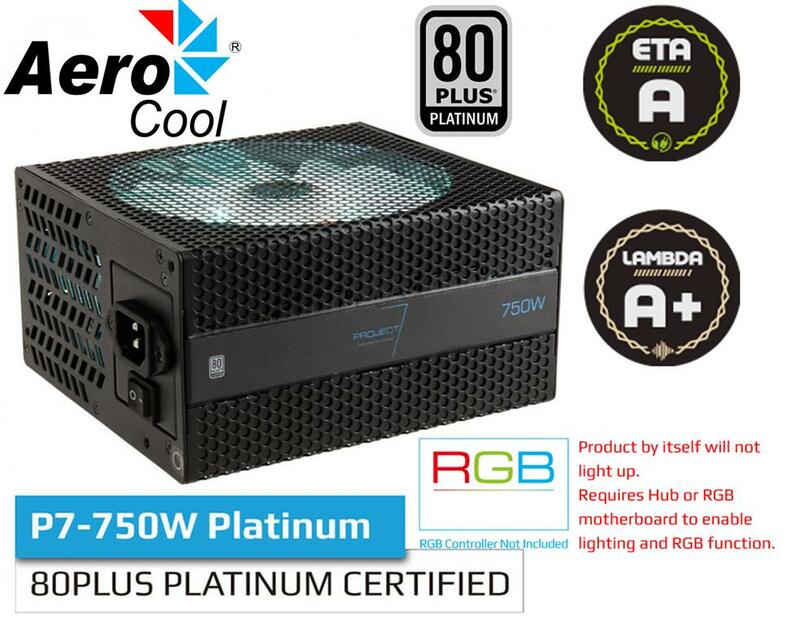 As you would expect from PSU at this price, the P7-850W Platinum is fully modular. The total number of peripheral and PCIe connectors and the length of all cables are all suitable for the type of build this PSU is designed for. The cables themselves are flexible, flat, and black, so their presence in builds can be kept to a minimum. 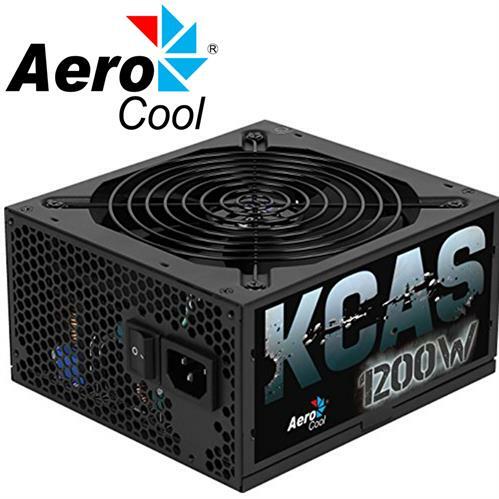 AeroCool KCAS 1200W PSU, Retail Box , Compliant with ATX12V Ver.2.4., Up to 85%+ efficiency with official 80Plus Bronze certificate, 20+4P and CPU 4+4P cable length up to 550mm - easy reach to all component, Safety and EMC certified by CE and TUV, 12 Month Limited warranty. 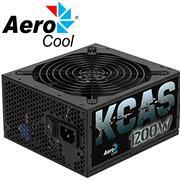 • Uncompromised real 1200W DC output. • Smart modular offer easier cable management and fully mesh sleeves reduce the block of system airflow. • Elegant Black PSU casing with Fully Black Mesh cables. • Compliant with ATX12V Ver.2.4. 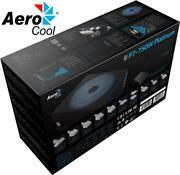 • Support latest INTEL 4th generation “HASWELL” CPU with C6/C7 power saving mode. • Up to 85%+ efficiency with official 80Plus Bronze certificate. • Single 12V rail for high compatibility and extreme high current output. • Extremely stable DC voltage regulation by DC to DC circuit. • Good DC output quality with low ripple noise reduce interference of system components. • 20+4P and CPU 4+4P cable length up to 550mm - easy reach to all components. • Eight PCIe 6+2pin connector for high-end graphic card. • Up to 10 SATA connectors supports multiple of hard drives. • 14cm silent black fan with smart thermal fan speed control circuit. • Complete protections with OVP/UVP/OPP/SCP/SIP. • Safety and EMC certified by CE and TUV. • ECO friendly with RoHS and Erp 2013 directives. The most affordable, low noise, high efficiency, and stable output PSU. Super silent 14cm high performance cooling fan with smart thermal speed control circuit. 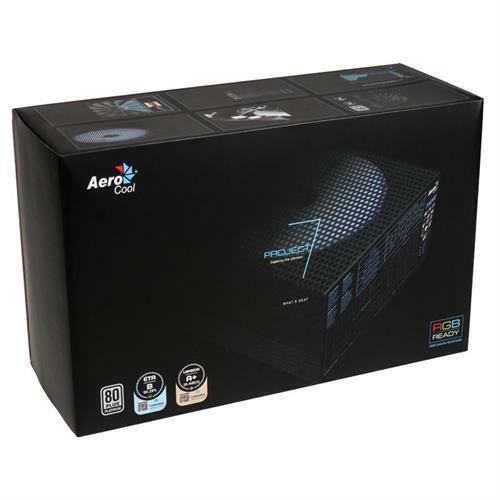 Aerocool P7-750w 80+ Platinum Certified PSU, Retail Box , 12 Month Limited warranty. This 750 Watt model from the P7 series is available at several different performance points, all of which meet the demands on the 80Plus Platinum certification and its minimum of 92% efficiency at medium load. 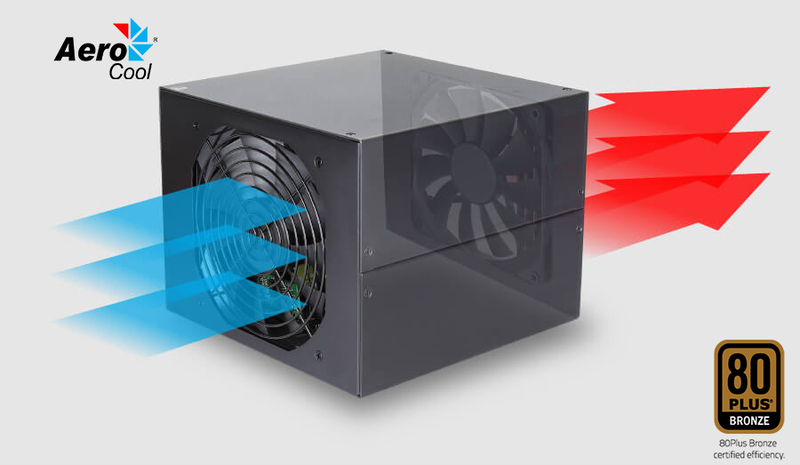 The power supply is cooled by a large 140 mm Fluid Dynamic Bearing fan which, thanks to its automatica control, functions extremely quetly and in complete silence at loads below 60%. Loads of up to 80% require the fan to spin at low speeds of less than 500 RPM. Particularly noteworthy is the RGB-LED lighting integrated into the fan, this can be controlled either via an optionally available Aerocool P7 hub or directly by motherboards supporting ASUS Aura, GIGABYTE RGB Fusion or MSI Mystic Light Sync. Aerocool has opted for fully modular cable management: the motherboard and CPU are powered via 20-4-pin, 8-pin and 4+4 pin connectors. Six cables offering 6+2-pin connectors offer sufficient capacity for powering several high-performance graphics cards. Furthermore multiple connectors are provided including ten SATA connectors, six 4-pin Molex, one Molex-to-floppy adapter and a 4-pin RGB connector. 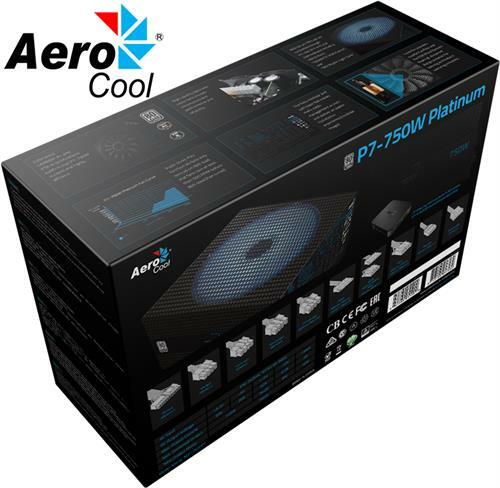 In short: The Aerocool P7-750W is the ideal power supply for powerful gaming PCs everywhere!. 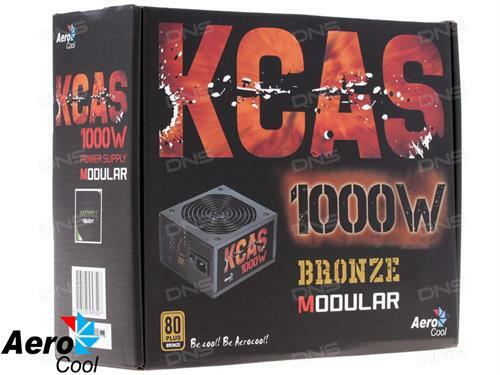 Aerocool KcasM-1000w 80+ Bronze Certified Modular PSU, Retail Box , 12 Month Limited warranty. 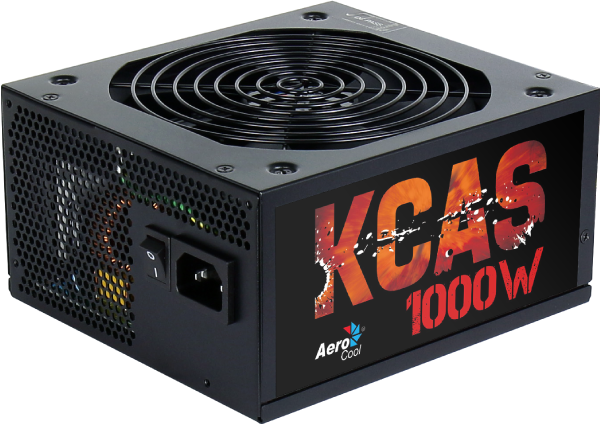 Aerocool’s KCAS-1000M is the most economic 80Plus Bronze certified power supply. The excellent C/P ration is the easiest way to get the power supply with official 80Plus Bronze and semi-modular cables. Featuring as huge 1000W power, high 12V cross loading, and >82% efficiency.